Sena’s insistence on Muslim quota comes at a time when the party leadership is trying to show how its commitment to Hindutva is greater than its warring ally BJP. Mumbai: The Shiv Sena is demanding the implementation of a Muslim quota in Maharashtra — at a time when party chief Uddhav Thackeray is preparing to visit Ayodhya to make a national statement about the Sena’s commitment to the Hindutva agenda. Sunil Prabhu, Shiv Sena’s chief whip in the Maharashtra legislative assembly, Tuesday expressed his party’s support for a Muslim quota in the state, joining a discussion initiated by the opposition. While arguing that the BJP-led state government should clearly state how it plans to give reservation to the Marathas without touching the existing 52 per cent quota in the state, Prabhu said that the Muslim, Dhangar and Lingayat communities should also get reservations. “Muslims are a part of this country. They have been demanding reservations for the betterment of the community,” Prabhu told ThePrint Wednesday. “If Shiv Sena is lending a voice to their demand so that the poor and oppressed get better opportunities, what is wrong in that,” he asked. “It was always Balasaheb Thackeray’s ideology to strive for justice for the poor and the oppressed and Uddhav saheb follows the same ideology. Instead of looking at this from the prism of samaj (community) and jaat (caste), it should be seen as the Shiv Sena voicing the demands of the people,” Prabhu added. 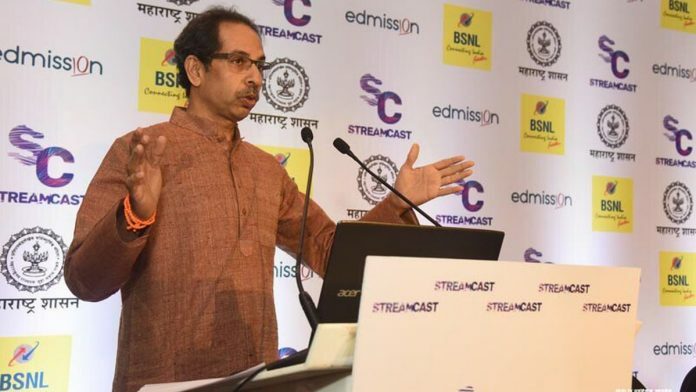 He claimed Shiv Sena has also been demanding reservation for the Dhangars, a shepherd community that lives in western Maharashtra and Marathwada region and is seeking a scheduled tribe status. The party has been consciously targeting Muslim voters over the past few years. Ahead of its annual Dussehra rally last month, some Sena organisers started a ‘Me Marathi Musalman’ campaign, releasing a video of a Muslim party worker from the Beed district. Party members said they wanted to spread the message that Shiv Sena has never been against “Indian and patriotic Muslims”, and it has always been the opposition’s agenda to portray the Sena as being anti-Muslim. The Shiv Sena also fielded five Muslim candidates in predominantly Muslim belts of Mumbai during the 2017 election to the Sena-controlled Brihanmumbai Municipal Corporation (BMC). It secured a vote share of about 20 per cent of the total votes across these five wards and got its first two Muslim corporators elected. Some of its Muslim candidates were from areas worst affected during the 1992-93 communal riots. The previous Congress-NCP government had passed an ordinance to implement a 5 per cent quota for Muslims in government jobs and education towards the end of its term. The Bombay High Court upheld the reservation in education but scrapped the quota for jobs. Muslim leaders and legislators have been protesting the non-implementation of the quota. The state government has maintained that some Muslims are already covered under the reservation for Other Backward Classes, and implementing a quota on religious grounds will be difficult. Shiv Sena’s Sunil Prabhu, however, said the government should take the required steps to make such a reservation legally possible, the way it is doing for the Marathas. The Sena’s insistence on a Muslim quota comes at a time when the party leadership has been trying to emphasise how its commitment to Hindutva is greater than its warring ally BJP. Party chief Uddhav Thackeray plans to visit Ayodhya on 25 November to reiterate his demand for a Ram temple there. Thackeray also said that he is going to Ayodhya to remind the BJP of its election promise of building the Ram temple, and challenged the party to build it in the next five months, before its term ends. The agenda for a Ram temple and the resultant demolition of the Babri Masjid in 1992 was what mainly led to the Shiv Sena having a very contentious relationship with Muslims. The party is alleged to have played a major role in the December 1992-January 1993 communal riots in Mumbai following the Babri Masjid demolition. The Srikrishna commission indicted the Shiv Sena and its founder Bal Thackeray for inciting violence and highlighted the latter’s role in commanding his troops to retaliate with organised attacks against Muslims. The Shiv Sena too has always projected its role in the riots as that of Mumbai’s saviour.